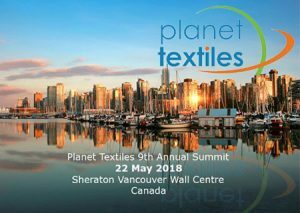 Planet Textiles international conference tackles the crucial issues on sustainability in the global textile sector. The 2018 conference will feature seven key new technologies, including Nanollose, that could help the global fashion sector to reduce its environmental footprint. Alfie Germano will be representing Nanollose in the Final Session of the day, titled “A Pitch for the Planet”, led by Fashion For Good and presented in the Main Hall from 15:45 – 17:30 PM. If you plan to attend this event and are interested in arranging a meeting with Alfie, please register your interest below. If you would like to schedule a meeting at one of the events listed above, please submit your request here.